Cumbrian racer Dan Stewart will return to the Isle of Man TT this year with the current Macau Grand Prix champions SMT Racing. Stewart has recorded 16 top-10 finishes since 2006 and is the reigning TT Privateer's Champion. He said: "SMT Racing are Macau GP winners and BSB podium finishers and I'm delighted to be joining." In November, TT star Michael Rutter gave the team their first international road race win in Macau. Stewart added: "I'll have a better set-up for 2013 than ever before and with SMT's considerable expertise and knowledge, it should allow me to post more consistent lap times and, hopefully, break the 130mph barrier and improve upon my previous best finish of sixth." 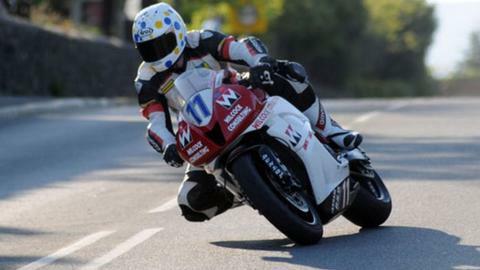 The Barrow-in-Furness rider made his debut on the Mountain Course back in the Manx Grand Prix of 2000 when he finished third in the newcomers race and has since gone on to rack up a long list of impressive performances.